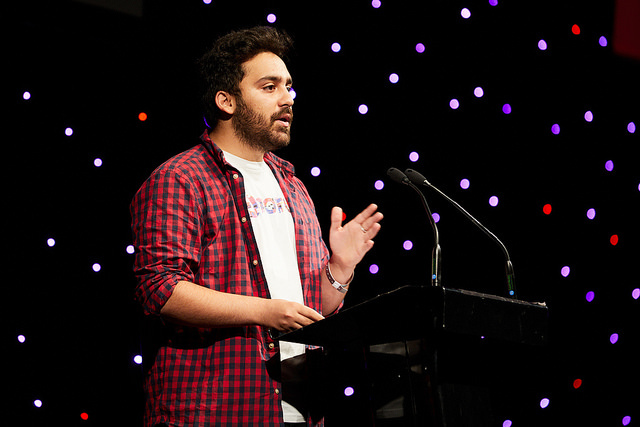 "We aren't trying to change the world alone, we’re doing it together"
Ali Milani, VP (Union Development), opened Students Unions 2018 with determination. His opening speech was a reminder that our unwavering belief can build a just and sustainable world, and this is what connects us and drives our success. 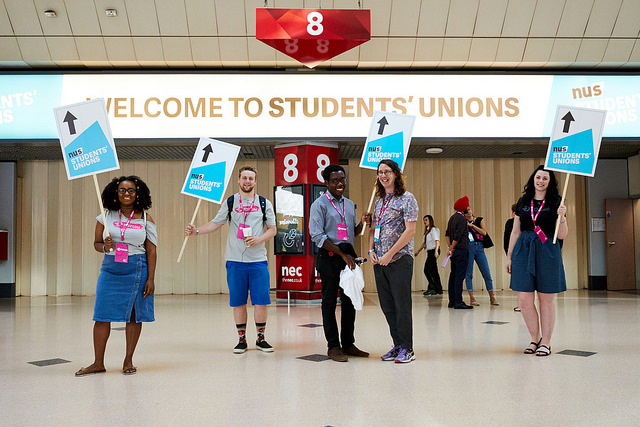 Following Ali’s collective opening, Simon Blake, NUS Chief Executive, declared to hundreds of delegates at Birmingham NEC “we are more than just a collection of students’ unions, we are a movement”. These statements aren’t campaign slogans. And the welcome speeches reminded us of the wins our movement has made, from boycotting apartheid to highlighting the scandal of mental health provision in education. The list went on and the tone of the event was set. When we underestimate talent in our movement, SUs work in silo. Echoing Ali and Simon’s sentiment of collective working, the networking sessions brought together our shared expertise. But how can we be truly collective if we are only listening to a portion of voices? 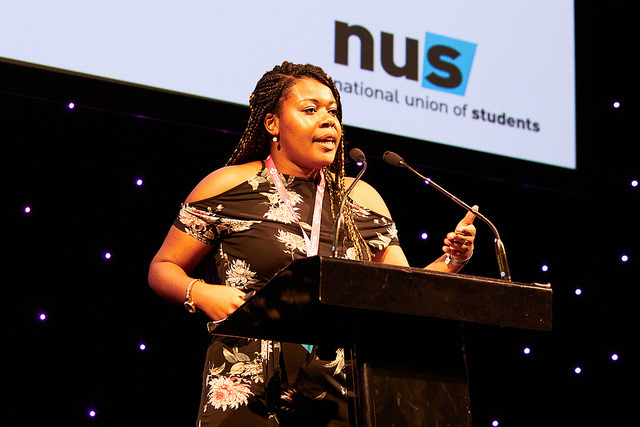 Sanisha Wynter, NUS Race Equity and Inclusion Project Officer, reminded us that allyship “is not about owning the microphone, it is about passing it over”. Who are we passing the mic to though? 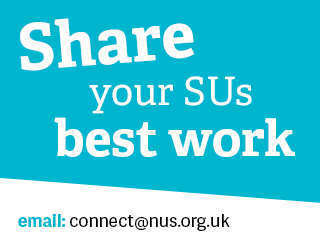 There is no pretence that all students are truly represented, and at SUs 2018 we ask – why? Well, that’s look to the impact of unconscious bias, which embodied the next headline event slot. Sabbs and staff from across SUs who believe strongly about being fair, egalitarian and non-prejudiced in their approaches, heard how it is time to accept “these beliefs may have little bearing on whether we are biased or not and whether our actions are discriminatory”. The impact of location was also recognised. Yes, we are a national movement, but the challenges of our a collective movement will vary by your postcode. 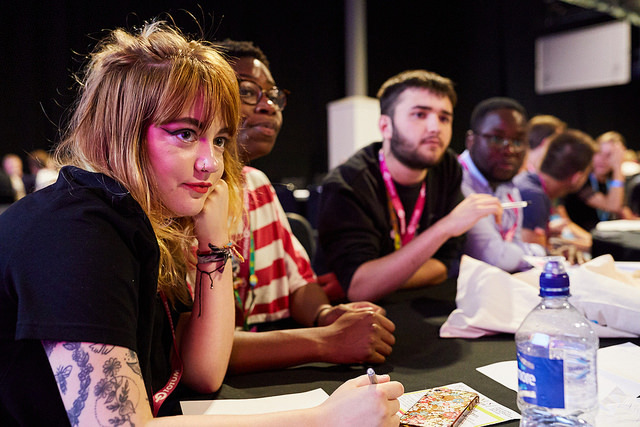 Individual unions, such as Bath Spa SU, spoke up: “for us it starts with education – we need people to acknowledge their privilege so that we are able to challenge it”. Institutional inequality in our institutions exists and the role of elections in challenging our flawed power structures was recognised by Zamzam Ibrahim (VP Society & Citizenship) and Ilyas Nagdee (Black Students’ Officer), during their session ‘Diversifying our Elections’. “The truth is…” Zamzam began, “the election process is flawed. As officers that have run in these elections we want to know what, why are BME students not running?” The floor opened up and reasonings were explored. However, perhaps the simple explanation was encompassed in Zamzam’s opening: “to run an election, you have to believe in yourself”. Can we honestly expect students who are facing consistent inequity to “believe” in themselves? 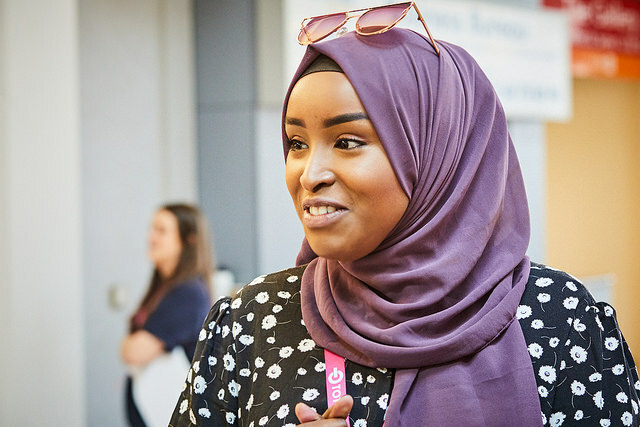 We’ll be following up over the coming days with more information from the event including our interview with keynote speaker, Kehinde Andrews.